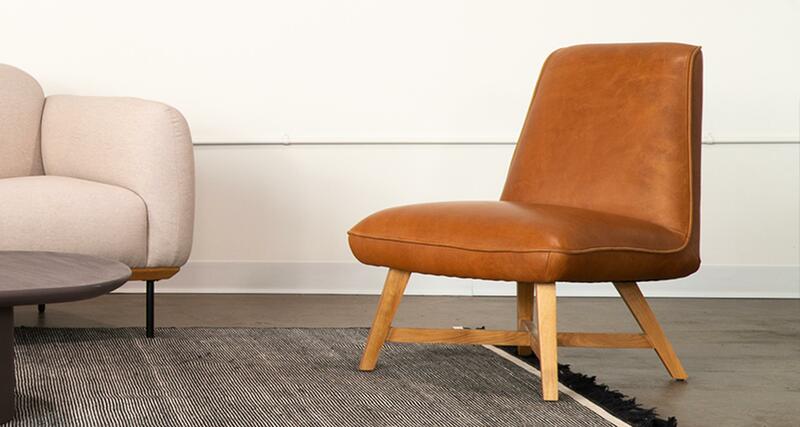 The Joan Lounge Chair is an occasional chair designed for quick meetings, extra dinner guests or on-the-move lounge sessions. Joan has a graceful silhouette, a sound foundation and is hyper functional while maintaining a small footprint. Solid pine and plywood frame wrapped in aniline dyed leather or commercial grade upholstery .